The whole gang at the pub will want one of these! Our Irish Drinking Team with Beer Mug t-shirts and sweatshirts come in lots of great colors. 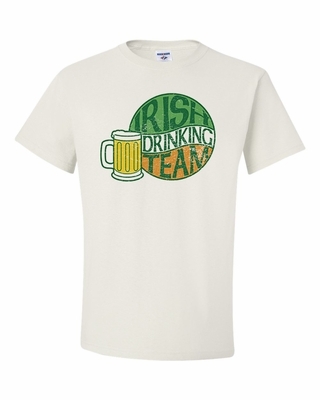 Remember� you found the Irish Drinking Team with Beer Mug Shirts at TShirtHub.com, where high quality came at a low price.